People vastly prefer to get what they need from people they trust. That’s why trusted sellers generate more sales, faster closings and lasting client relationships. 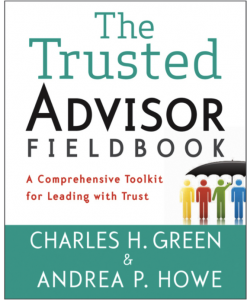 Trusted advisors are more likely to have their advice taken, open new lines of communication, gain referrals and have more constructive and effective client interactions. The most effective leaders don’t demand power-based or hierarchical obeisance, but instead influence others to take on the organization’s goals as their own. 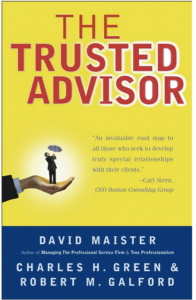 Organizations that cultivate trusting relationships, internally and externally, for their own sake have a decided advantage in business. 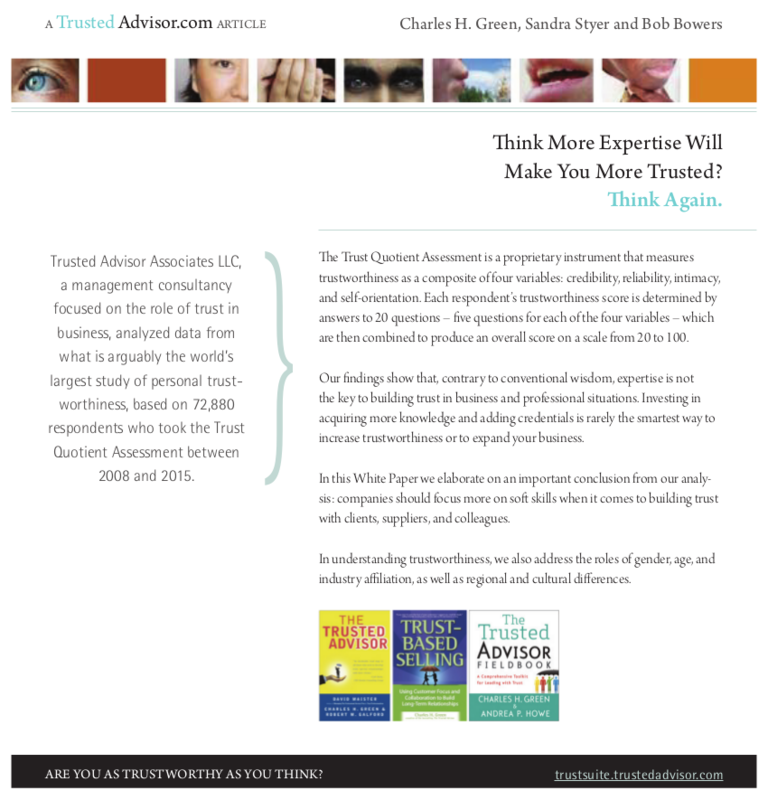 Think More Expertise Will Make You More Trusted? Think Again. We analyzed data from what is arguably the world’s largest study of personal trust-worthiness, based on 72,880 respondents who took the Trust Quotient Assessment between 2008 and 2015. This whitepaper is the result. The Trust Quotient Assessment is a proprietary instrument that measures trustworthiness as a composite of four variables: credibility, reliability, intimacy, and self-orientation. Each respondent’s trustworthiness score is determined by answers to 20 questions – five questions for each of the four variables – which are then combined to produce an overall score on a scale from 20 to 100. Our findings show that, contrary to conventional wisdom, expertise is not the key to building trust in business and professional situations. Investing in acquiring more knowledge and adding credentials is rarely the smartest way to increase trustworthiness or to expand your business. In this White Paper we elaborate on an important conclusion from our analysis: companies should focus more on soft skills when it comes to building trust with clients, suppliers, and colleagues. In understanding trustworthiness, we also address the roles of gender, age, and industry affiliation, as well as regional and cultural differences.